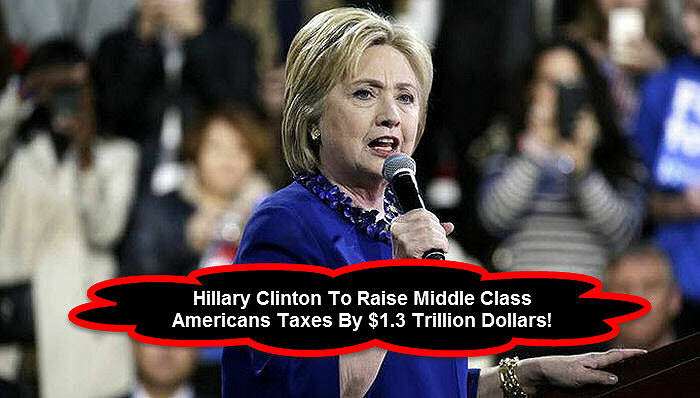 Word is spreading about crooked Hillary Clinton’s proposed 1.3 Trillion dollar tax increase on middle class Americans. Lets face it – someone is going to have to pay for refugees Clinton plans on importing into America. That’s exactly what Hillary Clinton said at a rally 08/01/16. This video is from a local TV station that recorded Clinton’s statement on middle class taxes will be raised. She talks so much trash and panders to voters. Hillary Clinton is unable to tell the truth – even if her life depended on it! From freebeacon.com: Hillary Clinton comes up $2.2 trillion short in paying for her policy agenda, despite hiking taxes by $1.3 trillion, according to a new analysis of the Democratic nominee’s campaign platform. Gordon Gray, American Action Forum’s director of fiscal policy, based the report on estimates of policy proposals from the Clinton campaign itself, as well as independent analyses from the Tax Policy Center and the Committee for a Responsible Federal Budget. 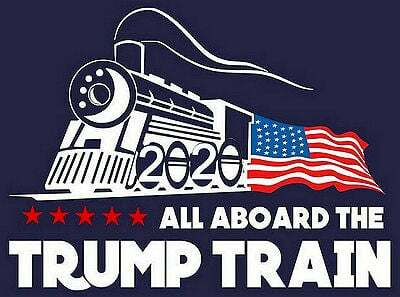 “Based on these estimates, Secretary Clinton’s proposals would, on net and over a ten-year period (2017-2026), increase revenues by $1.3 trillion, increase outlays by $3.5 trillion, for a combined deficit effect of nearly $2.2 trillion over the next decade,” Gray wrote. Clinton’s most expensive policy proposal by far is guaranteeing up to 12 weeks of paid family leave at a cost of $1.598 trillion. Her “College Compact” plan that would give free community college tuition for students who work 10 hours a week would cost $347 billion. The campaign says the plan would be fully paid for by hiking taxes on the wealthy. Clinton’s child care plan would cost $337 billion, while debt free college for future students would cost $107 billion. The tab for universal preschool reaches $66 billion. The American Action Forum points out that a Clinton administration would likely cost taxpayers more, as the campaign has yet to release financing details for additional proposals. Don’t be a Schmuck – Vote Trump / Pence 2016! America this woman will sell out what’s left of America. Hillary Clinton is not in good health. Look at her, bags under her eyes, probably hopped up on something to keep her going. Don’t be surprised if she goes into cardiac arrest in the near future.